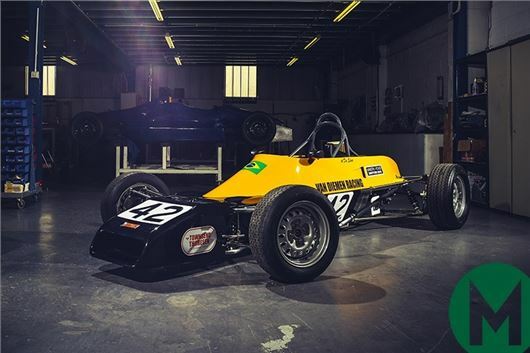 The restored Van Diemen RF81 – chassis 528 – driven in period by the late Ayrton Senna will take pole position in the Motor Sport Hall of Fame Live at Race Retro. Held at Stoneleigh Park, Warwickshire, from 22-24 February, this will be the car’s first public viewing since it has been restored by Van Diemen founder Ralph Firman. Firman gave Ayrton Senna his big break in the UK and this car has been painstakingly restored in Norfolk, where it was originally built. The Van Diemen also features the Minister 1600 engine, identical to the 1981 original. Senna finished fifth on his FF1600 debut at Brands Hatch on March 1, 1981, and just two weeks later won his third ever car race at Brands Hatch, at the wheel of a Van Diemen RF81. By the end of the season Senna had established himself as the man to beat, finishing the season with 12 wins, six other podiums, and the championship, winning the two prestigious national British Formula Ford titles. In 1982 Senna graduated to Formula Ford 2000, competing in both the British and European Championships. He dominated the Formula winning 21 out of the 27 races contested. That year, Senna also had his first chance to race in a non-championship Formula Three race at Thruxton where he started from pole position and won easily. The rest, as they say, is history! The Motor Sport Hall of Fame Live will also include other racing and rally cars, with a number of key milestones celebrated, along with special guests, many of whom will be interviewed on the Motor Sport Live Stage.